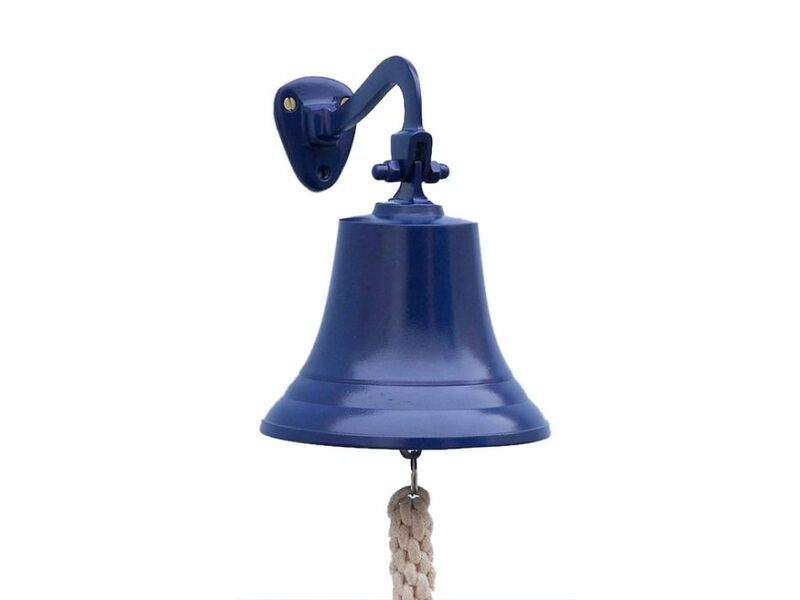 This Brass Hanging Ship’s Bell 11" - Blue is finished imparts a distinctive maritime feeling wherever it resides, whether hung outside as a functional bell or used as a décor item in a nautical themed room. This ship’s bell sounds as beautiful as it looks, and comes complete with a braided rope striking lanyard. For your satisfaction we offer a 100% money back guarantee, no hassle returns, in-store pickup, and professional packaging and inspections on all shipped items.